Xiaomi Mi 9 Explorer Edition 8 GB RAM + 256 GB Storage Model Debuting Late March - Playfuldroid! The recently announced Vivo iQOO gaming phone and the upcoming Oppo Reno that is scheduled to go official in April can hamper the sales of the Xiaomi Mi 9 series. 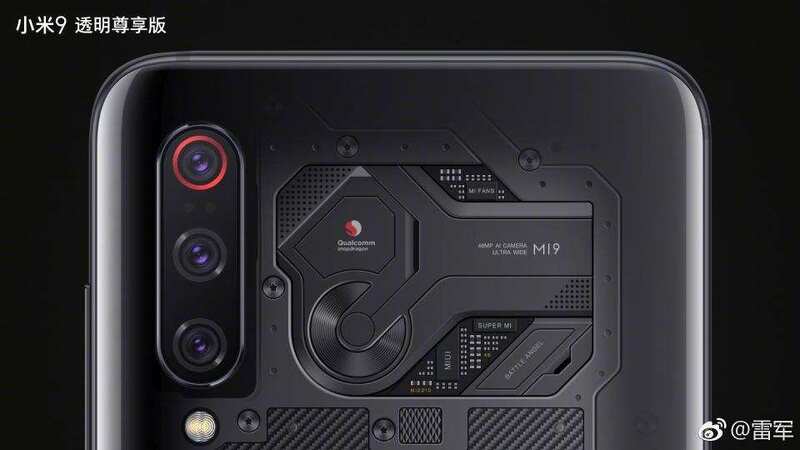 Some netizens claimed on Weibo that the Mi 9 does not have a model with 8 GB of RAM and 256 GB of internal storage. Xiaomi’s Product Director Wang Teng Thomas responded by saying that the company will be launching 8 GB + 256 GB edition of the Mi 9 Explorer (Transparent) Edition. It is speculated that the Xiaomi Mi 9 Explorer Edition with 8 GB of RAM and 256 GB of native storage may go official by the end of this month. It could be priced at 3,599 Yuan. The Xiaomi Mi 9 Explorer Edition has a 6.39-inch Super AMOLED display with waterdrop notch. It offers full HD+ resolution and an aspect ratio of 19.5:9. The Snapdragon 855 chipset powers the smartphone with 12 GB of RAM and an internal storage of 256 GB. It does not feature a microSD card slot. For photography, it is equipped with a 48-megapixel + 16-megapixel + 12-megapixel triple camera setup and a 20-megapixel front-facing camera. It includes an in-display fingerprint reader. The handset draws power from 3,300mAh battery that supports 27W fast charging and 20W wireless charging.